Eye-catching accents. These double circle drop earrings with rhinestone edging look great with matching multi-circle bib necklace. 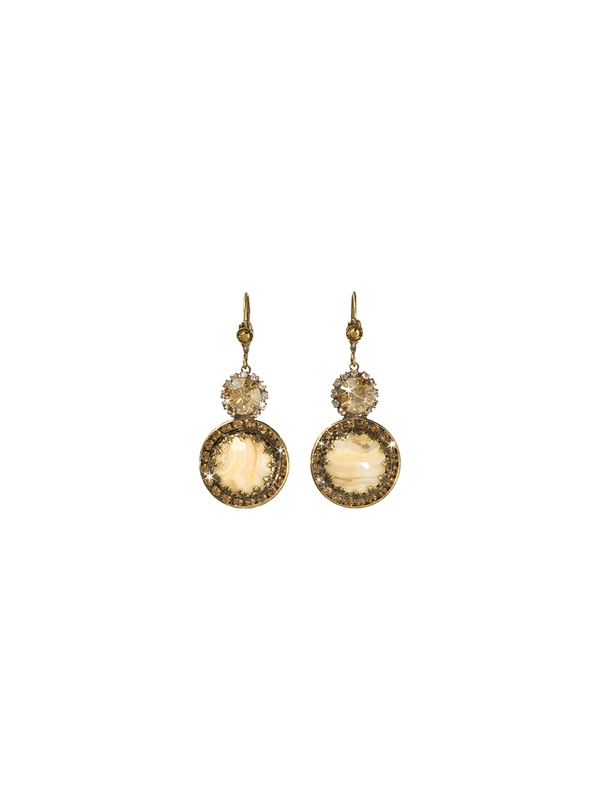 Featuring two antique opaque cabochons that dangle while surrounded by crystal embellished borders. A round stone decorates each hinged hook closure for an extra glint of glamour.